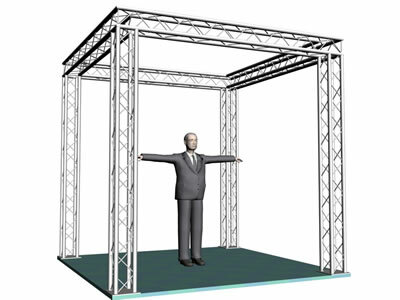 Many of our trade show 10 x 10 truss systems are available in 10, 12, and 6 inch profile truss with 2, 3, or 4 chords. Each exhibit booth display is designed for stability so you can feel comfortable displaying your company's services with accessories such as lights, banners, and flat LCD or plasma screens. 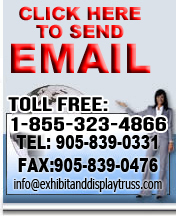 Looking for a truly unique display or exhibit? 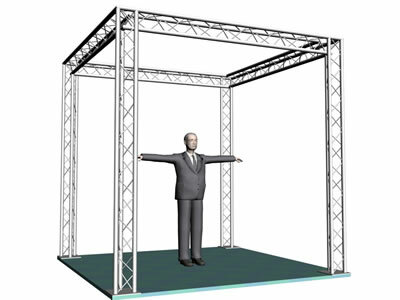 Let us work with you to design a custom truss system that will fit the style and functionality you are interested in. This exhibit display booth features a 4 chord truss with a 10" profile designed simplicity and stability for any trade show display. 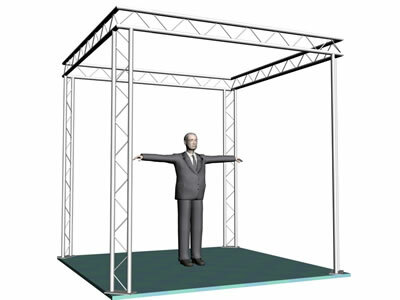 We can custom design a modular truss to your own specific needs!